This silhouette of Mary, Joseph and Jesus, together with the shepherds and the Three Wise Men, perfectly reflects Christmas. 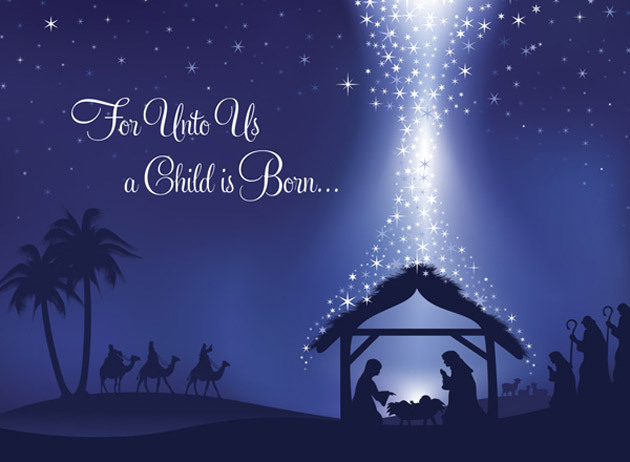 Bearing the script, 'For Unto Us a Child is Born' and finished with a high gloss, this is a superb card to send this Christmas. A great value charity personalised Christmas card, at only a price band A. By purchasing the For Unto Us Christmas card 10p for each card you purchase will be Donated to the Charity of your choice from the Charities listed below.